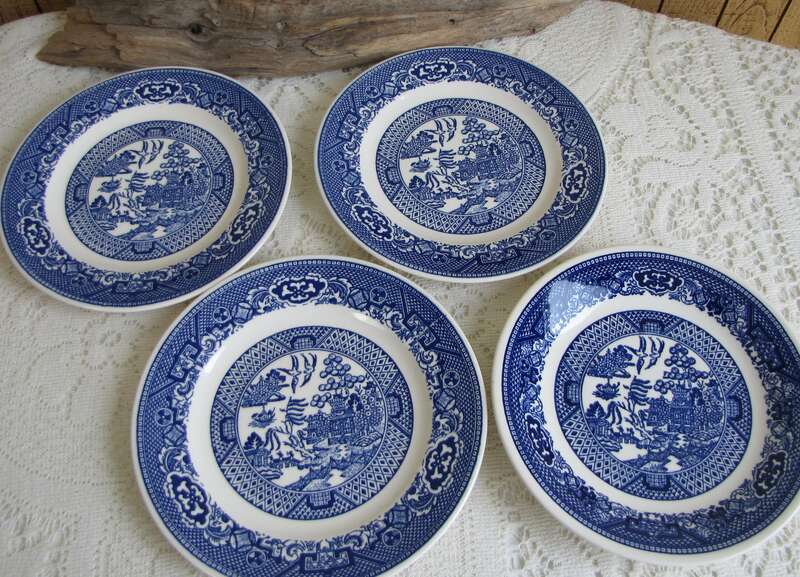 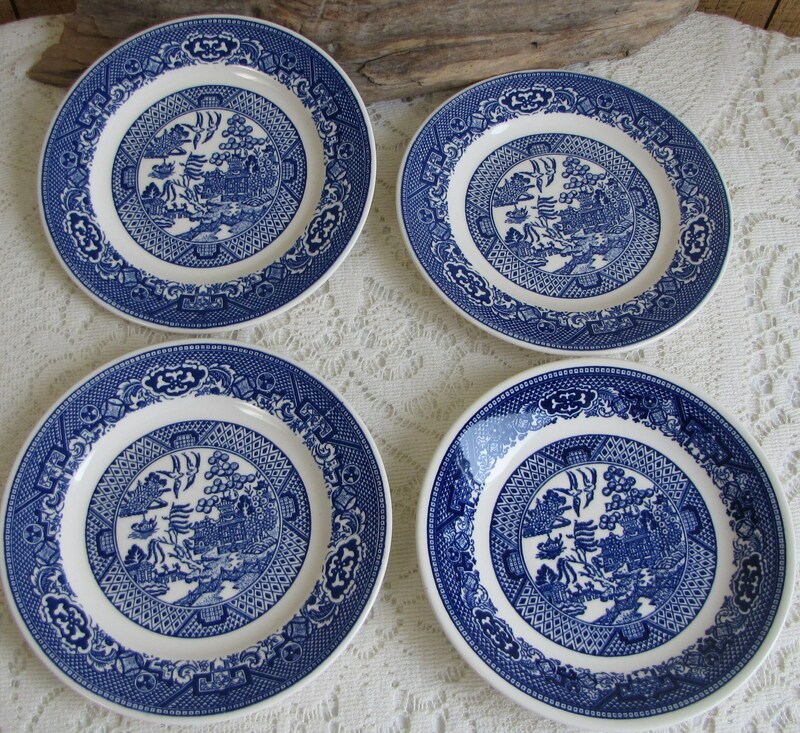 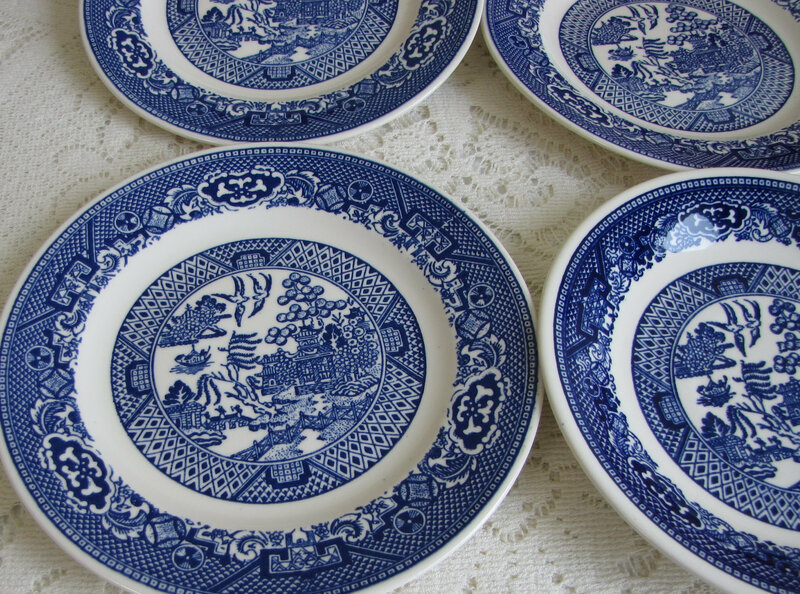 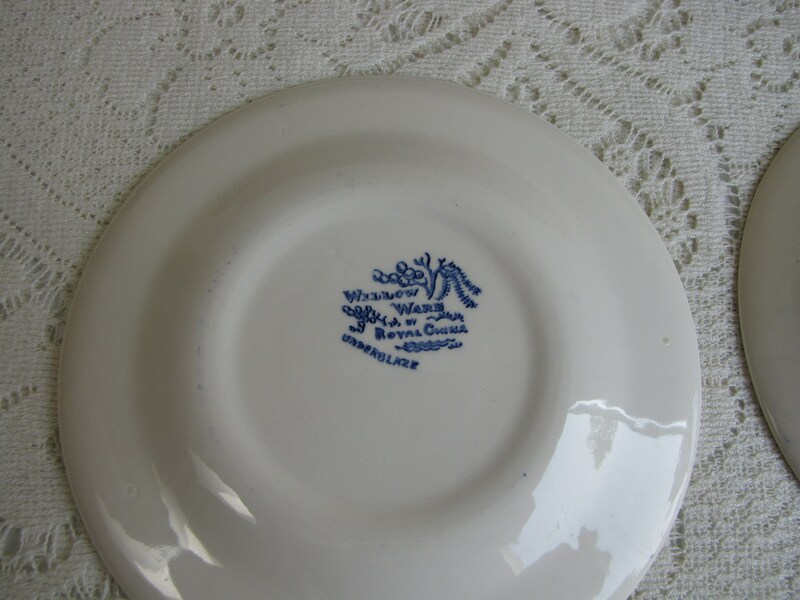 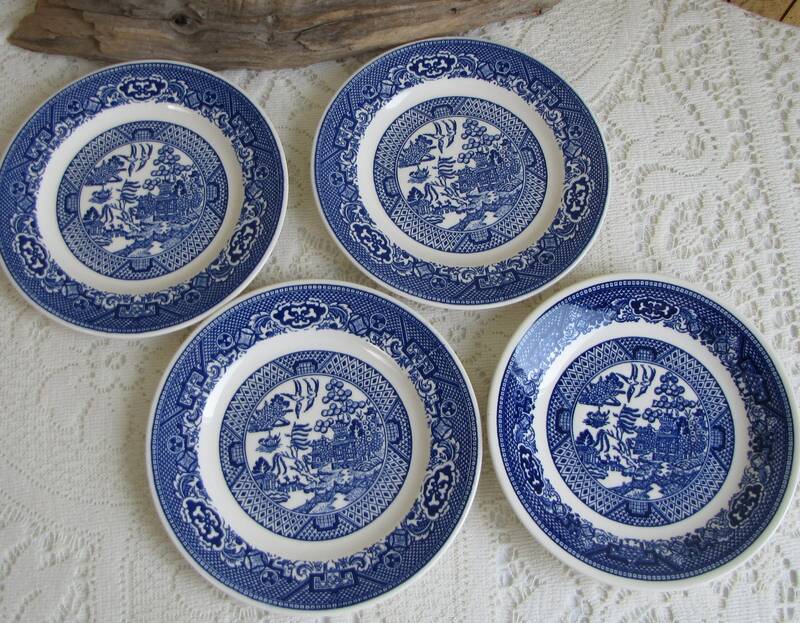 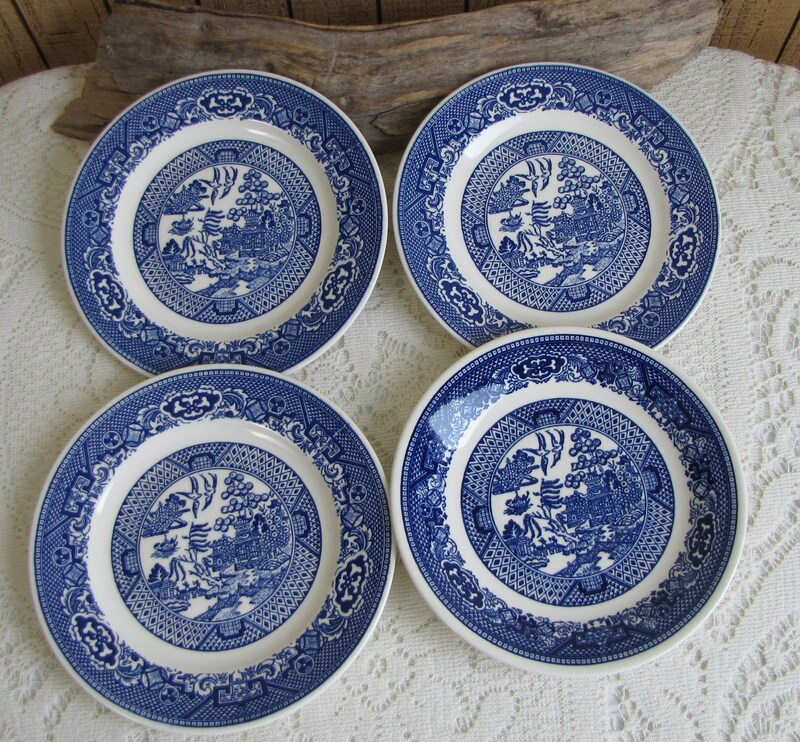 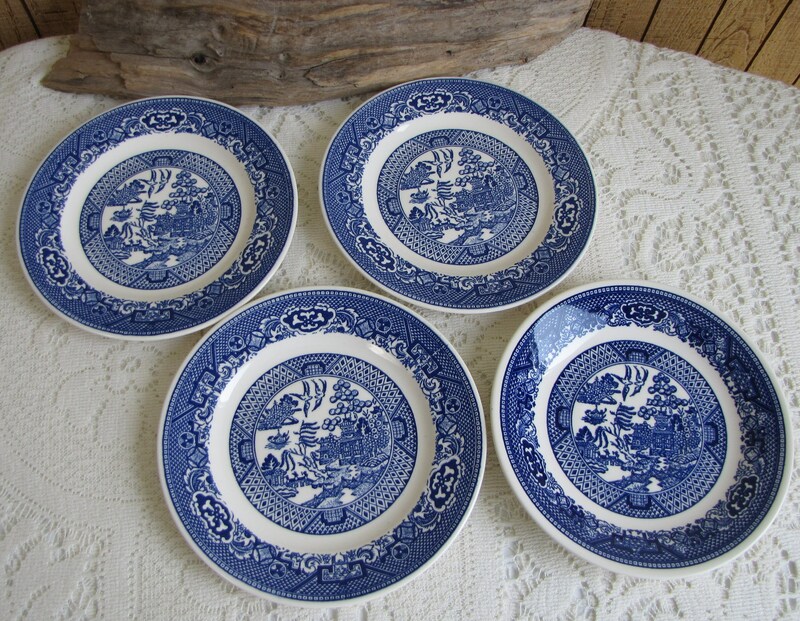 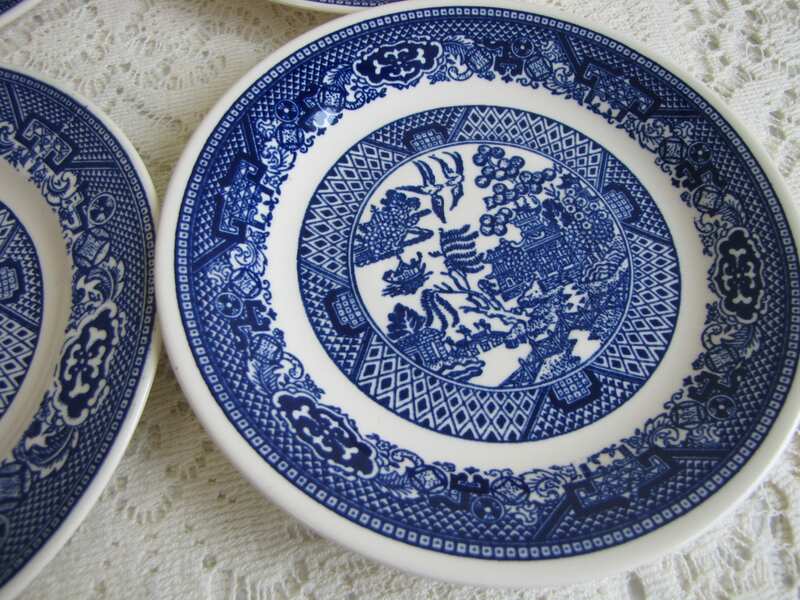 This is 3 small blue willow bread plates from Royal China and one saucer that is unmarked. 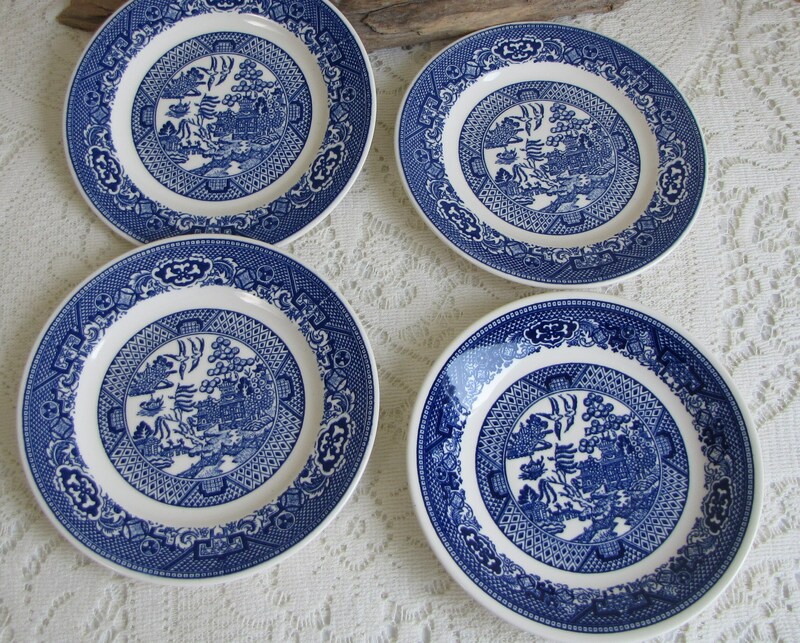 The set is in very good vintage condition with no chips, cracks, or crazing; hardly a mark on them. 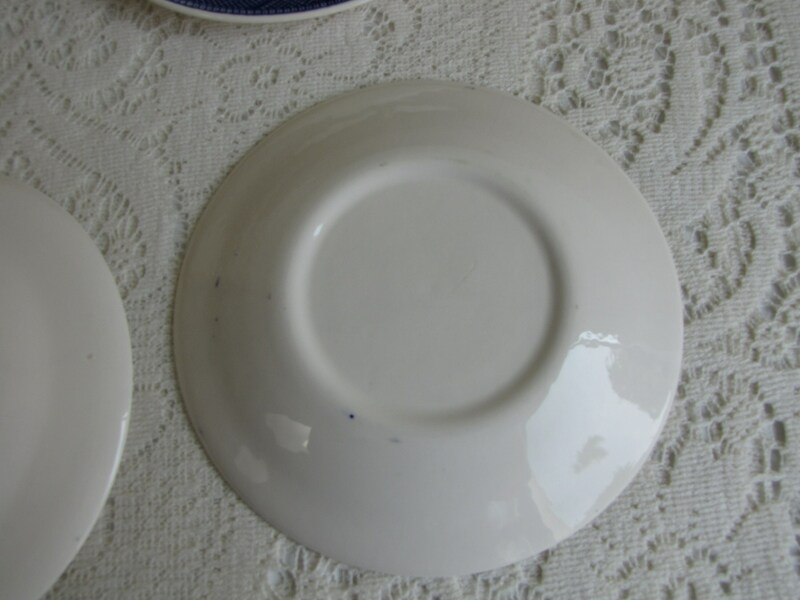 The 3 bread plates measure 6.5 inches in diameter and the saucer is 6.25 inches in diameter.